Former Governor of Texas Rick Perry endorsed presumptive nominee for the Republican party Donald Trump and is open to being Vice President, reports CNN. The endorsement is surprising given Perry’s criticism early in the primary season. Now, with Trump as the Republican party’s presumptive nominee, he’s changing his tune. “He is not a perfect man. 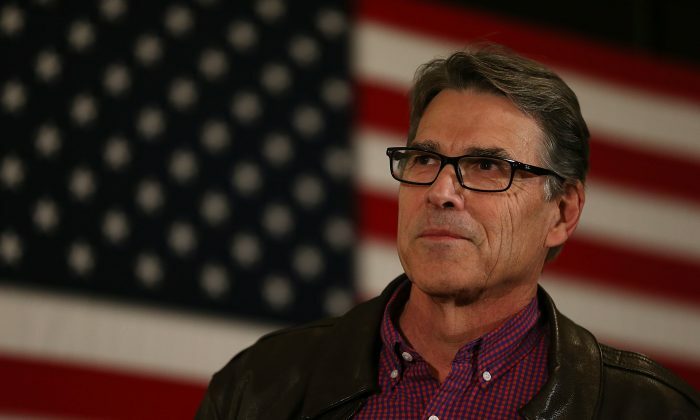 But what I do believe is that he loves this country and he will surround himself with capable, experienced people and he will listen to them,” Perry said in his endorsement. The endorsement comes shortly after Speaker Paul Ryan and other Republicans have refused to lend support to the party nominee following a knockout win in the Indiana primary. Perry was one of the first Republican candidates to drop out and one of the first of the Republican establishment to criticize Trump. The former Governor of Texas dropped out in September after 100 days and a disappointing fundraising effort. “The conservative movement has always been about principles, not personalities,” Perry said after dropping out. Rick Perry was Governor of Texas for fourteen years and shot up to national attention after making a more vigorous, but unsuccessful attempt at being the presidential nomination in the 2012 cycle. Perry also endorsed and campaigned for fellow Texan Ted Cruz before Cruz dropped out of the race following a loss in the Indiana primary. Governor Rick Perry said “Donald Trump is one of the most talented people running for the Presidency I’ve ever seen.” Thank you Rick!